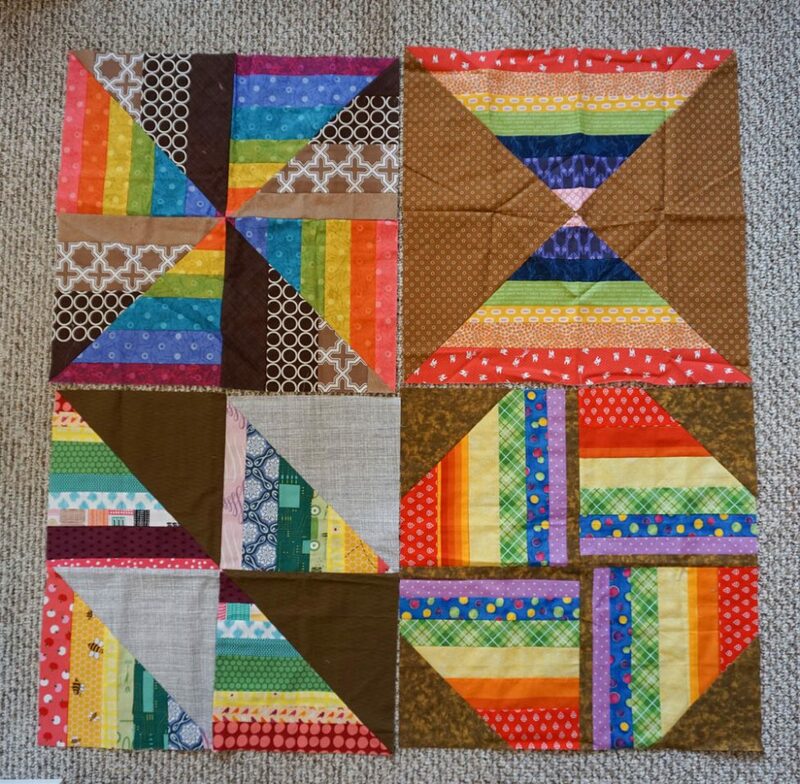 Other posts on this round robin: Our Quilt Block for the Kids Quilt Round Robin, Our Next Kids Quilt Round Robin Block, Our Last Kids Quilt Round Robin Block. H got all of her blocks back from this summer quilting round robin back in September, and we love them. She’d asked for brown and rainbows, and that is what she got. We haven’t had a chance to sew this quilt together yet, but we will. She’s been less interested in sewing this fall, but she did just ask me the other day if we could make something, so I think we’ll pull these blocks out soon.